The Singapore Guineas takes place on Friday, bringing to an end the Singapore Three-Year-Old Challenge. The race was well won by Super Easy last year, with the Michael Freedman colt taking the title in convincing fashion. This time out, a talented and well-balanced field is expected to take the starting blocks, with Stepitup and Super Ninety Seven among the early favourites for the race. 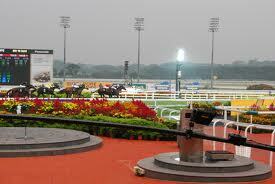 The best place to have a bet on the 2013 Singapore Guineas is with Bet365.com. The odds below were taken from the site, and you will be able to find the latest race odds there as well. Bet365.com is also offering each-way betting on the race, with which you will receive 1/4 if should your selection place in positions one to three. Super Easy was ridden to victory last year by talented jockey Joao Moreira, who will again saddle up for the race. This time Moreira will be with Mr Magnus, who is at 14/1 for the race. Mr Magnus emerged as a contender for the Singapore Guineas after recording a victory in the Gingerbread Man 2011 Graduation Stakes over Alpha Centauri and Luwak Coffee in the 1400-metre race. The Stephen Gray-trained horse is looking good for a strong for the event and at his current price offers decent value for an each-way bet at least. However, Mr Magnus will be coming up against some stiff opposition in the event, with joint-favourites Stepitup and Super Ninety Seven boasting some impressive records, and come in to the race on the back of strong 2013 form. Stepitup has six win from his seven starts, with one second place, as his career record. He has won the last three races in which he has started, the last of which was in April over Super Ninety Seven with just under a length distance between the two horses, though it is to be noted that these victories came over 1200 and 1400-metre distances. That loss to Stepitup in April was Super Ninety Seven’s first taste of defeat since January, and during the intervening period enjoyed success in two outings secured with more than one length victories. The Australian colt has won in four of his eight starts, placing in second in three other races. As mentioned above, the best racebook to place a bet on the 2013 Singapore Guineas is Bet365.com, who will offer the best odds on the race. When visiting Bet365.com, click on ‘Horse Racing’ in the left sidebar and scroll down to the Antepost section of the page, where you will find the markets for this race and many more. The Singapore Guineas is a Group 1 race for three year old horses, and is run over 1600 metres. With a purse of $500,000, it always attracts a talented and diverse field from both home and abroad. The Singapore Guineas is the final leg of the Singapore Three-Year-Old Challenge.